Wood flooring is a wonderful addition to any home. It brings effortless style and sophistication and works beautifully within both modern and traditional settings alike. While solid wood floors take a lot of maintenance and are prone to warping, staining and movement, wood alternatives, such as engineered oak flooring and wood look tiles offer the best of both worlds, and are ideal for areas of high traffic. So what are the best wood floors to use around the home, and what are the benefits of wood effect alternatives? Engineered oak is one of the best wood flooring choices for a busy home. With far greater stability than solid wood, it offers a stunning floor that is less prone to movement and any expansion caused by changes in temperature and moisture. 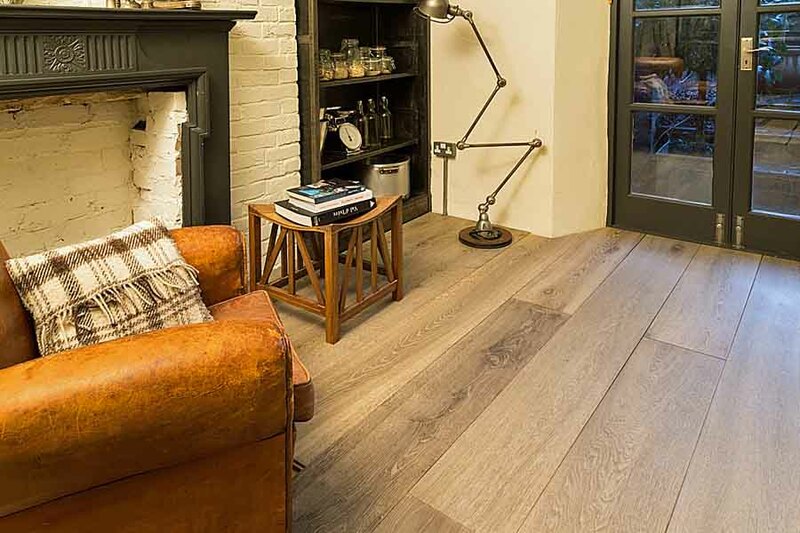 While perfect for use in areas of high traffic, thanks to its ease of maintenance and durability, engineered oak flooring isn’t suitable for areas exposed to excessive moisture, such as wetrooms or outside spaces. With the array of finishes available, high footfall is no problem when it comes to keeping engineered oak flooring looking good. Brushed and satin finishes are far more forgiving of dust, dirt and marks than a gloss finish. Engineered oak is also available in longer and wider boards, so you can achieve the look you desire in any room, and it’s suitable for use with underfloor heating, sustainable and can be recycled after use. Our wide range of wonderful styles, effects and colours, including light, aged, whitewashed, contemporary, herringbone, dark and antique, makes engineered oak the perfect choice within any style of property and décor. Another highly realistic alternative to solid wood are wood effect tiles, which, again, are ideal for areas of high traffic. 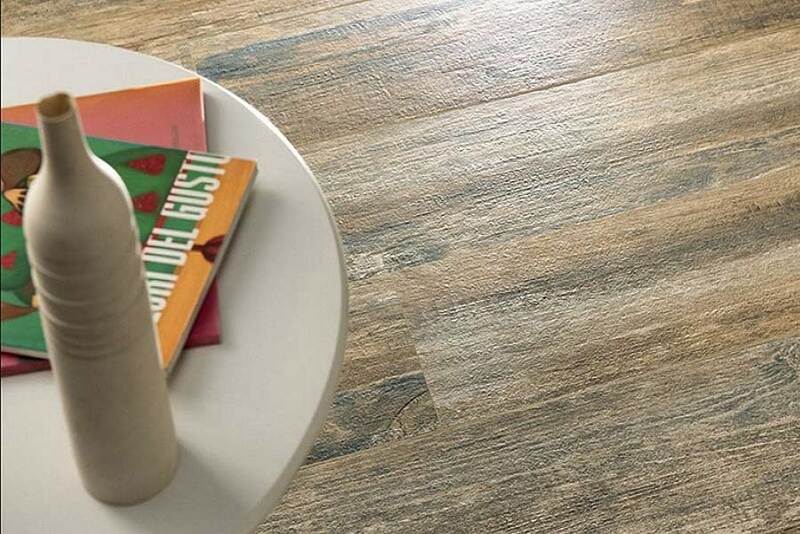 Requiring no maintenance other than simply washing, wood look tiles are great for busy homes that demand a stylish floor with high durability and ease of care. Wood effect porcelain floor tiles offer the perfect combination of style and practicality. And, unlike any other kind of wooden flooring, they can be used anywhere around the home, as well as outside. 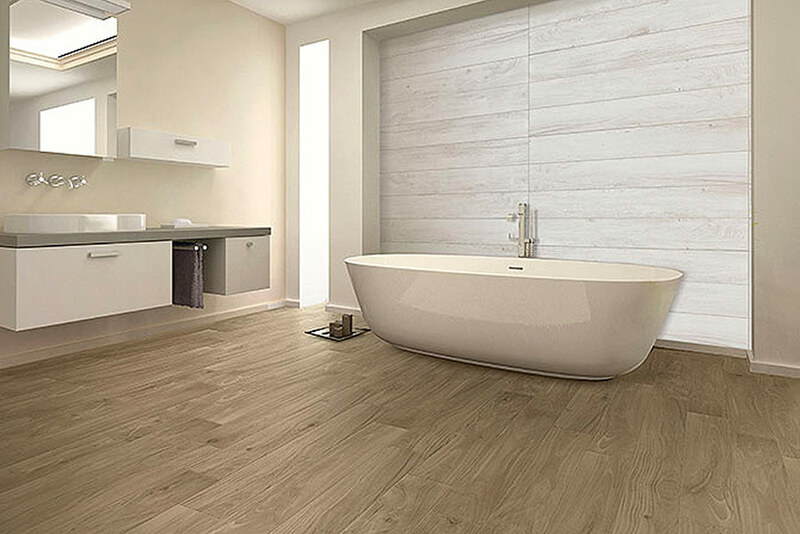 Because they are able to withstand moisture, porcelain floor tiles are the ideal solution for bathrooms and one of the best kitchen flooring choices there is. 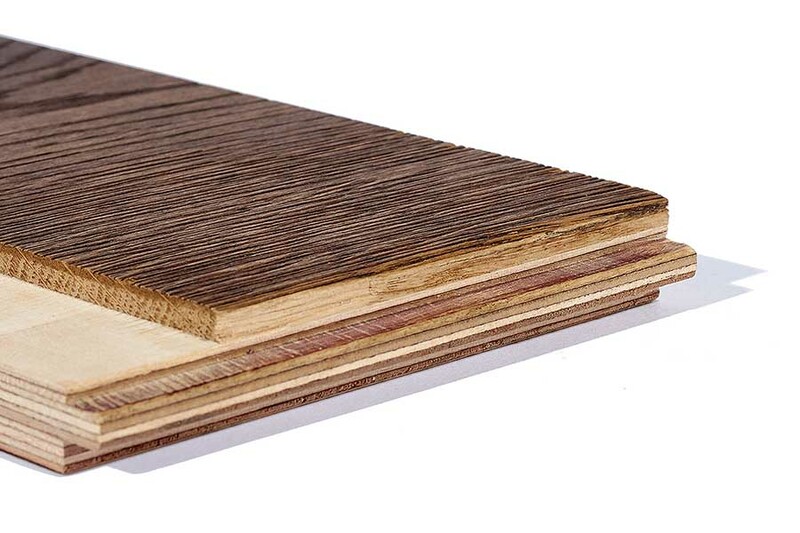 Wood effect porcelain tiles are also great heat conductors, so work brilliantly with underfloor heating. 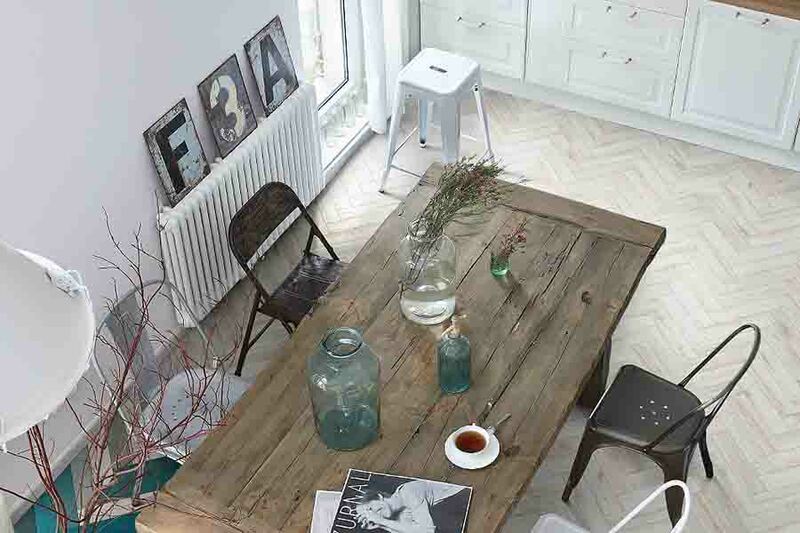 From warm milk chocolate hues, to pale walnut tones, with cool whitewashed,dark, herringbone and contemporary in between, our selection of wood look porcelain floor tiles embraces the beautiful markings, grains and knots of the real thing, for a highly sophisticated and hardwearing wood look floor. 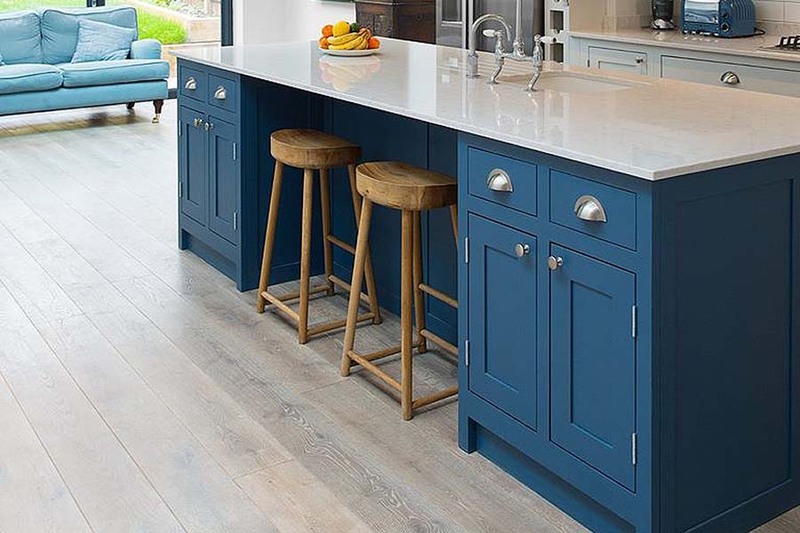 Both engineered oak flooring and wood look porcelain tiles are quick and easy to install and available in a wide range to suit any budget, making them not only a stylish and practical alternative to natural timber, but a far more cost-effective one too. For more advice on the best wood flooring and its installation, contact us at Beswickstone, or visit our large Cirencester showroom to view our stunning flooring collections.